VULKAN Technologies Pvt. Ltd. is the Indian subsidiary of the globally operating VULKAN group with Headquarters at Herne, Germany. The company in India was established in August 2001, with the head office situated in Pune, which is in the state of Maharashtra. VULKAN Technologies Pvt. Ltd. employs approximately 300 highly-qualified employees, including four engineers in its own Research & Development department. VULKAN Technologies Pvt. Ltd. represents all three business divisions of the group in the Indian market: VULKAN Couplings, VULKAN Drive Tech and VULKAN Lokring. Therefore, the company is a manufacturer of elastic couplings for ships, generators, compressors and other industrial applications and also a manufacturer of solder-free (or braze-free) tube connections used in refrigeration and air-conditioning technology. The organisation received its ISO 9001:2008; ISO 14001:2004 and ISO 18001:2007certifications from Bureau Veritas Quality International (BVQI). 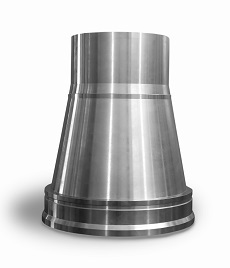 The steel and spheroid foundry as well as the aluminium foundry have been approved and certified by several classification societies or associations for the manufacture of cast products. VULKAN Technologies Pvt. Ltd. has approvals issued by the classification associations BV Marine (Bureau Veritas), DNV -GL, ABS; LRS and IRS. The independent certification and regular audits provide an assured quality level at VULKAN Technologies Pvt. Ltd. and ensure quality of a high class according to international standards. 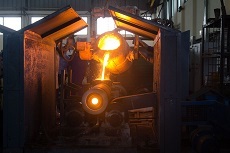 The modern foundry for steel castings and spheroid castings is equipped with high-power medium-frequency induction crucible furnaces; at present, this facility can cast 120 tons of steel per month in the form of the most diverse steel and spheroid castings with a raw weight of 30 up to 500 kilograms. 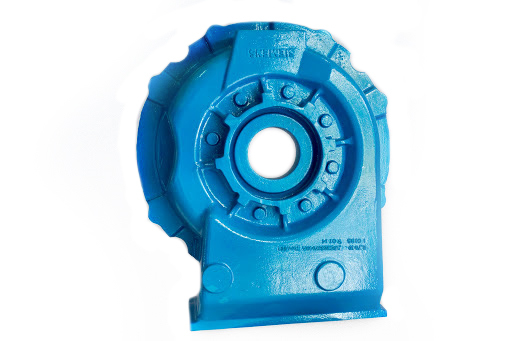 When it comes to manufacturing sand castings, as a result of using Croning sand cores, one can achieve the maximum possible casting precision and comply with the most stringent tolerances. 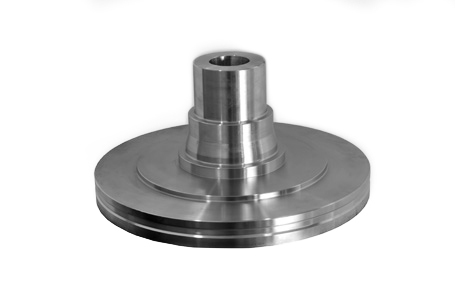 The centrifugal casting process is launched for the manufacture of symmetric rotary components. 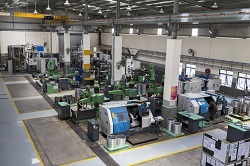 Two Horizontal and one Vertical state of art centrifugal casting machines are in operation. In the aluminium foundry, parts are manufactured using the gravitational die method and the sand casting method. Casting alloys that may be used as options are AlSi10Mg, AlSi12, LM25, LM6 and LM9. 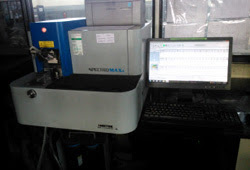 Cumbersome test methods such as manufacturing specimens for testing the mechanical properties of the material technologically, metallographic examinations, chemical corrosion investigations as well as controlled measurements using emission spectrometry ensure the quality of the cast products. The creation of 3.1/3.2 test certificates is standard according to DIN EN 10204. The aluminium foundry of VULKAN Technologies Pvt. Ltd. is the first one in India that has been certified by Lloyd’s Register (LR). For the production of flexible and highly flexible couplings, VULKAN Technologies Pvt. Ltd. has its own vulcanisation facility with 18 vulcanisation presses that work on the basis of the most modern transfer moulding technology. Over and above this, the Indian subsidiary also operates its own compound manufacture for the most diverse elastomers. With a stringent demarcation between the production zones, silicon and natural rubber compounds may be manufactured at one location. VULKAN Technologies India Pvt. 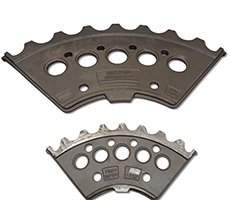 Ltd. has earned a reputation both nationally and internationally as a supplier and manufacturer of high-quality castings and elastomer-metal compounds. It shall be our pleasure to receive and respond to your enquiry!